Right now when we want to know more about something, anything, we Google it; this isn’t an exception, this is the rule. In fact, 74% of the entire population turns to Google to start their information finding efforts. This trend has been on the rise for sometime and as we have become more dependent on Google, we have helped turn the once search focused startup into the worlds second largest corporation besides Apple with their hands in advertising, big data, productivity applications and of course search. More or less our lives have become somewhat dependent on search and even if you are one of the “Rebels” that use Bing or Yahoo, your still turning to a search engine as the first response to your fact finding missions. At this very moment in time search rules and everyone else scurries to make it work for them, but could that be changing? Just a few months back Google made a major overhaul to how their search engines work with the release of Hummingbird. This change was a supposed game changer as it supposedly gave substantial consideration to changes in our online behavior. First, the change gave greater consideration to semantic search, meaning that the search results would try to better understand what we are searching contextually in order to give us more useful results. In short we could type in our question in our own words and get back results that were more likely to help us whereas in the past we almost needed to phrase things for search engines to understand us. Second and perhaps more importantly, Hummingbird made massive concessions for the impact of Social Media on search. There had long been discussions on social search and “Hummingbird” was the change that made this a reality. With this change search experts identified that 6 out of 7 of the greatest impacts on search rank were social and not traditional white hat SEO practices leaving only prominent backlinks in the mix. These two changes served as clear admission by Google that they recognize the human desire to interact with their machine in a more natural manner because we aren’t trained to speak to search engines, but rather to engage and collaborate with other humans. While Google’s engineers worked in the dark room building mysterious algorithms that drive search and revenue their way, another company, IBM was once again thinking about different ways to solve the challenges of commerce with the glut of content, data and interaction that humans have on a daily basis with their smart devices. 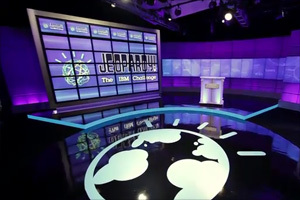 For those unfamiliar with the Watson project, dating back to 2011 and named after IBM’s Thomas J. Watson, this supercomputer was originally built to compete in a Jeopardy game against former Jeopardy champions Brad Rutter and Ken Jennings. With more than 200 million pages of unstructured data consuming 4 TB’s of storage including the entire text of Wikipedia, the computer was able to easily beat the former champions without any connection to the Internet. Showing off its ability to process natural language, Watson showed an impressive ability consume and learn from content that is supplied to it, and to even make intelligent hypothesis based on queues given leading the company to move the Watson project in another direction which is to help commerce to build products that will solve problems for the everyday consumer and more importantly drive solutions that solve some of our planets most challenging problems. In 2013 Watson is already helping healthcare companies such as insurer Wellpoint to make better treatment decisions with lung cancer patients by assessing data to provide a support system to clinical decision makers. This is just the tip of the iceberg for what is possible. In a more traditional go to market example upstart company Fluid in conjunction with The NorthFace is using the Watson Ecosystem to build an elegant solution that allows customer to describe their needs as related to outdoor gear or just converse about a trip they have upcoming and Watson can assess the events and activities and make intelligent purchase recommendations. Today we are just at the tip of the iceberg for what is possible with Watson, but there are two major reasons that I believe Watson may challenge the world’s leaders in search in the near future. Watson Ecosystem and Ecosystem Fund: As part of the official launch of the Watson Project the Watson ecosystem was created. The ecosystem is a catalyst for innovation because rather than selling the rights to use Watson, the ecosystem team is selectively choosing partner companies to work with IBM on a profit share basis. This means both parties have a meaningful stake in the game. Unlike traditional search where you pay to play, IBM is betting on its partners to do great things and when a company with the resources of IBM works with its partners in a strategic way I tend to bet on their success over a pure pay to play model like today’s search. Exploiting The Human Condition: People are social. Google has proven this and even Hollywood is playing on this with a movie like “Her” where a man falls in love with his device. The long and short of it is we want to interact with technology in a natural human way. While Google is making strides at this, no one (at least publicly) has shown the ability to humanize a machine the way IBM has done with Watson. It is to be seen whether IBM and Watson are able to emerge as the next great leader in search and it may just turn out that Watson doesn’t change search, but it replaces search. I suppose if we can just converse with our machines naturally and get useful and intelligent data in return, then why do we really need a search engine? One thing is for sure, when the power of Watson which by the way can fit in just 3 pizza box size rack spaces is widely made available for our most innovative entrepreneurs to exploit, the outcomes are going to be good, real good. And that is a wrap from Partner World 2014. It is official #MindBlown at the expense of Watson.